Have Du ever heard of Victoria Medlin? She was an actrees, altought not that famous. Victoria appeared in only three films, her most notorious work: Vanishing Point. 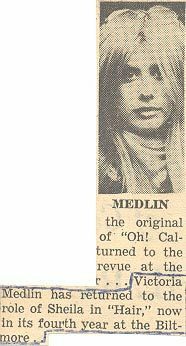 She dated Paul in the mid 70's, which I guess was around '74 since he had Carmen from '75 to either early - middle - oder late '76 (I think it was middle). Meddlin supposedly commited suicide in '78, there's also a rumor of an overdose for pills, but nobody really knows when, where, how and why it happened, just that she died in 2/27/78... Apart from dedicating his solo album of that Jahr ''to the people who have always believed and to the memory of JB Fields'', he also dedicated it to her. Does someone here also know at least the fact that she dated Paul? This is not a thread KISS' oder just Paul's Fans discuss a lot from what I see. Don't understand the thread part of your Frage though, but it does appear they atleast'dated.' No crime in that :)Is it really a Paul topic? Yes, I have heard of Victoria. Mehr importantly J.B. Fields was my father and a good friend to all the band members of Kiss. He owned the trucking company that took care of their needs. 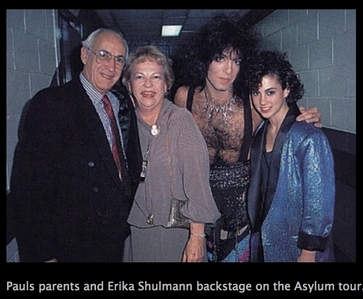 I was a child backstage at many a KISS concert. My father died in 1978 driving a rig for BOC. There is also a dedication to him on KISS Alive II and I have the Gold Album that was dedicated to him. He was loved Von many in the Musik industry. He was the soundman for the Rockets and there were Mehr than a few pics of him along with Mitch Ryder and the Detroit Wheels as well as the Rockets in Creem Magazine. The Rockets song "Lost Forever, Left for Dreaming was written for my father Von Johnny Bee Badanjek and performed at his funeral Von them. There are many bands including BOC and Jackson Brown that dedicated songs to my father. Do Du know how she died, exactly? and also do Du know where she is buried? SHE DIED IN A FURNITURE STORE!! !